If I decide to pursue a dog bite injury claim in Orange County, how much can I expect to recover from the dog’s owner? Additionally, you may also be able to pursue compensation for the pain and suffering that you endured as a result of your injuries and the trauma of the attack. It is best to talk to our experienced and knowledgeable Orange County dog bite lawyers about your specific case. Will I definitely receive compensation for my dog bite injury? Keep in mind, too, that the success of your injury claim is not guaranteed. 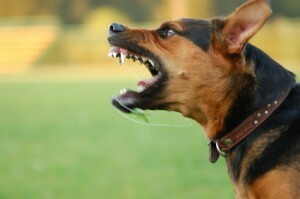 Although California law generally places the responsibility for a dog bite injury on the shoulders of the dog’s owner, you may not be able to pursue a claim if you were trespassing at the time or provoked the dog before the attack. If you have any further questions, or if you need help determining how much your California dog bite injury claim is really worth, please reach out to the experienced Orange County dog bite lawyers with Russell & Lazarus today. You can reach us at (800) 268-9228, or you can get started by completing the confidential contact form on this page.